“When the moon hits your eyes like a big pizza pie… That’s amore.” Doesn’t this song just remind you of Italy? Or eating pasta and pizza which almost always is linked to Italy? But is all this just what Italy has to offer? Italians may have one of the best food in the world but this beautiful country has a lot more to give other than that. Italy is one of the best vacation spots in the world especially if you want to immerse yourself with lots of activities and be amazed with its sights or if you simply want to delight yourself with its charm and beauty. One of the must see or must do activity in this country are its festivals. From the truffles festival to the delightful grape harvest, Italy can amuse you and make your stay one of the most memorable ones. If you’re a nature lover or if you just love to see enchanting sceneries, visit Italy in the springtime when all the flowers are in bloom. And for sports or adventure lovers, Italy during the winter season is great since you can go snowboarding and skiing or you can just enjoy the view of the Alps while riding the ski lift. Exploring Italy is best done with your feet and your eyes. Walk around the city and discover cute little shops that hold a different treasure for every individual. Of course your visit wouldn’t be complete without a little shopping trip and since Italy can be a little on the expensive side, your walking will be quite beneficial as you may stumble upon a couple of street markets where you can bargain for some souvenirs. 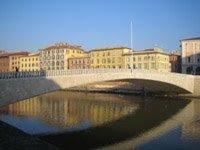 Italy is a great destination place for you and your family. Who knows? Maybe you’ll even pick up a few Italian words to impress your friends when you get back from your wonderful trip.